I have to head to Sault Ste. Marie in a couple of weeks for work, and plan on checking out Laird Speedway. Has anyone ever been there? What can I expect? That's what every tracks line up should look like, to hell with 4 funs and template bodies! Restarts are single file, which ended up spreading the field out too much for a small number of cars. The announcer was fantastic! Unfortunatly he decided to have his sister with him on the mic, but Spencer, you have a challenge in this guy! I did feel like my life was in danger in the bleachers. They seemed to be a collection of whatever was scrounged up, and missing boards were not rare. I am pretty sure that many people haven't had a chance to check it out. If you are in the Soo sometime, make sure you take a look, it was worth the money. The Thursday night racing also seemed to work well, as the crowd was good considering it rained 30 minutes before start time. 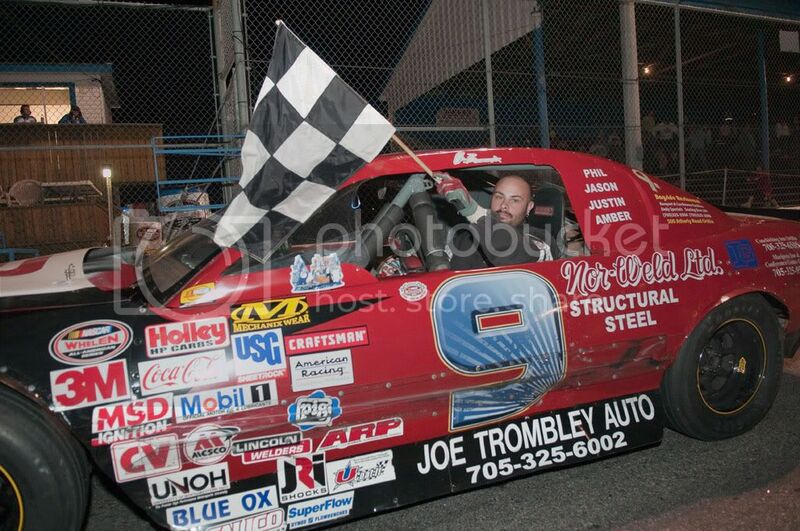 i know this post a little old now but glad you enjoyed our racetrack there many new things to come for 2009 for Lir . The Track Owner has added a figure 8 in the middle of the infield .. Also as a racer there I do not know the shape of the stand but you are not the first to mention that they are in bad shape hopefull the track owner will address that concern of many this off season.. Page created in 3.249 seconds with 32 queries.